How To Avoid Roof Damage Or Injury On Your Roof? The roofing industry has the 6th most dangerous jobs in the country, being responsible for almost 30 deaths out of 100,000 workers each year. 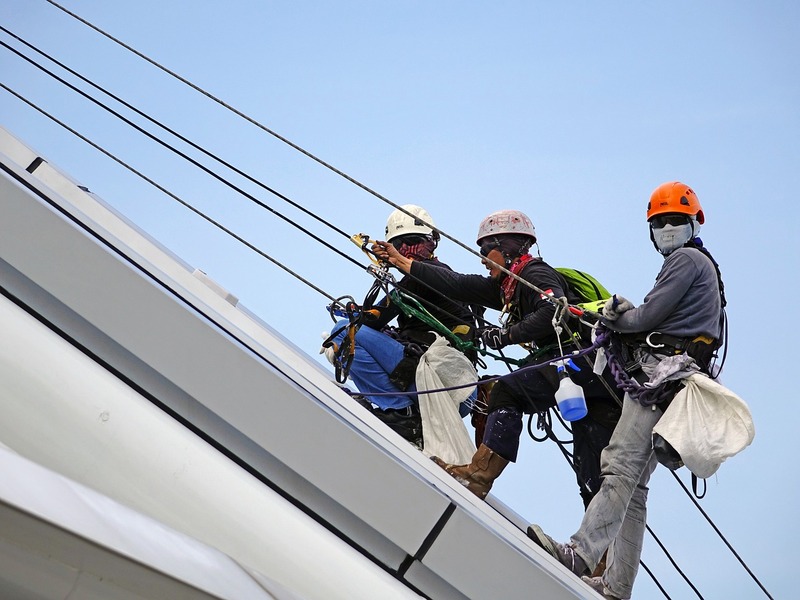 This is close to double the amount of deaths caused in the construction industry, which means that attention has been given lately to ensuring workplace safety for roofing projects. Reliable and professional contractors use only the safest practices which adhere to strict safety protocol. Both workers and the job at hand are important so safety is always a high priority. It is important for you to schedule regular maintenance and inspection of your roofing as a way to keep your roof in prime condition and to avoid unnecessary damage or injury. Leaks are the most common roofing problem so the need to identify and repair a leak right away is necessary. Leaks can be easily avoided by scheduling regular roof inspections. Even if water does find a way through, you need to get the leak repaired immediately. This helps to avoid further damage to your building and a keeps your roof safe at all times. Water that enters the building through a leak can damage ceilings as well as structures. Ceiling tiles can become loose and fall, causing damage to equipment as well as injuries to people inside the building. In addition to this, water that seeps through cracks can drip onto surfaces, increasing the risk that people will slip and fall or damaging expensive materials and items. Water that gets into the walls of a building also promotes mold growth, especially with wood and gypsum drywall. The smallest patch of mold can release very resilient spores that can spread easily through the building to other surfaces causing more extensive damage. Mold causes serious damage to building structures and has also been known to cause serious health problems in people too. When it comes to roofing, there are two important factors you need to be aware of. Firstly, the decking is an integral part of your roofing system and if it is faulty at all, it needs to be repaired immediately. Poor decking means that your roof will not last long and a roof with a short lifespan causes the building to lose value and you to lose money. Ensuring you have solid decking is the best way to ensure the longevity and quality of your roof. The second thing to remember is that waterproof materials are essential regardless of the climate you live in. You want to ensure that the roofing contractor you choose has a clear understanding and experience with waterproofing options and can advise of the most effective means of preventing pools and leaks. The main cause of leaks is poor roofing, but you can avoid this by hiring a roofer that knows how to successfully divert water away from the building. Safety and quality are essential components of the roofing industry. It is important that you hire a qualified roofing contractor to ensure your roof stays in the best condition. A safe and reliable roof will not only protect your building, but it will protect the inhabitants and be a safer working place for contractors.